Speaking at the Future Investment Initiative in Riyadh, Saudi Arabia, the Bahrain Prince declared government revenue did not match economic growth – calling the level of cashflow from oil “unsustainable at current expenditure”. Crown Prince Salman proudly boasted how his country had “never showed a year of negative growth” but announced a fiscal injection – or restructuring package – was needed to rebalance the economy to be more stronger going into the next decade. Of this, he claimed there must be four key elements put into place to secure a successful financial system. The Crown Prince vowed operational costs of doing business in government must be slashed, as well as balancing the books of water and electricity. Other elements which will help the economy, he said, was the introduction of a voluntary retirement package and the Gulf VAT system, with the United Arab Emirates, Saudi Arabia, Kuwait, Qatar and Oman. The Crown Prince said: “The levels of spending that we had put in place were not sustainable with the current economic structure. Claiming non-oil industries already counts towards 80 percent of Bahrain’s GDP, the Bahrain leader continued: “However, here’s the problem. Our government revenue did not match our economic growth. “So oil today counts toward 75 percent of government revenue. This is unsustainable at current expenditure. “So the goal of this fiscal injection, if you want to call it that, we like to call it a structural fiscal balance package, allows us to structure our economy to be more ready and more capable of being sustainable well into the next decade. “We will do a number of things to achieve this, the first being we will reduce our operational costs of doing business in government. “Number two: We will balance the accounts of electricity and water generation because frankly, right now that is one of top three major drains on our budget. “Third: We have introduced a voluntary retirement package. “It is very successful, I think to date we have over 6,000 applications – maybe a bit more. Bahrain currently produces about 50,000 barrels of oil per day from the Bahrain Field. Another 150,000 barrels per day come from the Abu Saafa field, which it shares with Saudi Arabia. The finances of the Arabian Gulf have been hit hard by a slump in oil prices, prompting its neighbours to help prop-up the country’s economy. Saudi Arabia, Kuwait and the United Arab Emirates agreed to give Bahrain $10 billion to support funding requirements. 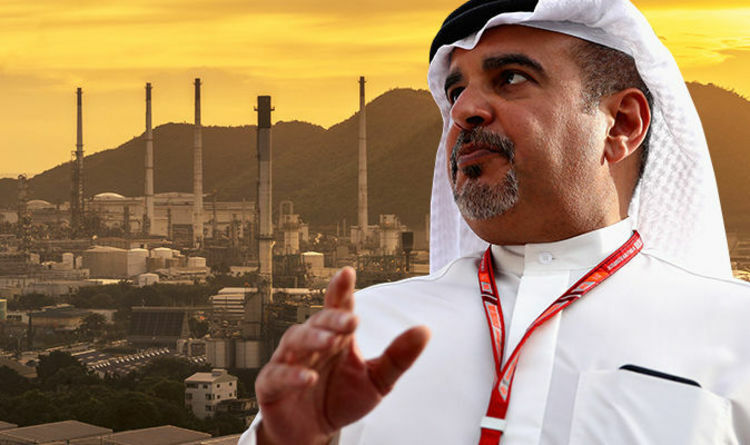 The Bahrain government recently announced a package of reforms aimed at delivering 800 million Bahraini dinars (£1.6 billion) in annual savings and wipe out its budget deficit by 2022. Manama had projected a £2.7 billion budget deficit in 2018. The fiscal balance programme, combined with the financial support agreement, allows for a “swift and achievable” progress to continued economic growth and prosperity, Shaikh Khaled bin Abdulla Al Khalifa, Chairman of the Ministerial Committee for Financial Affairs, said in a statement.